Donna Snyder is the editor on the El Paso Bar Journal and founder of The Tumblewords Project, a non-profit poetry workshop funded by the city of El Paso. 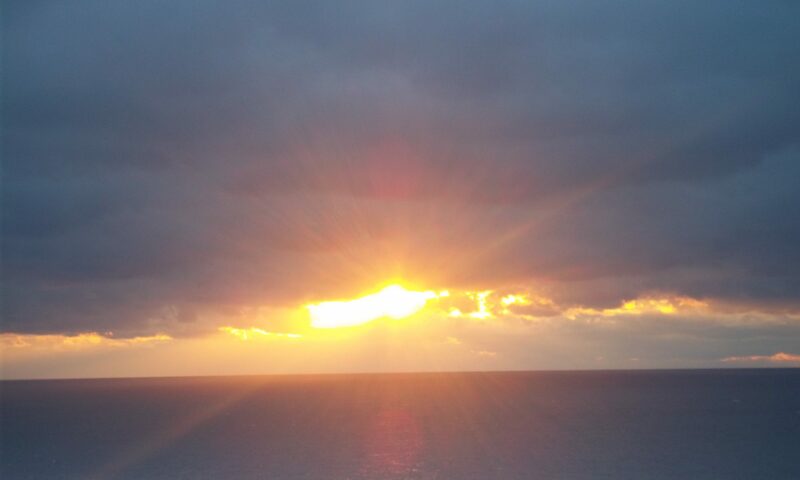 Her work has appeared in various journals and on her blog Raw Poetry. 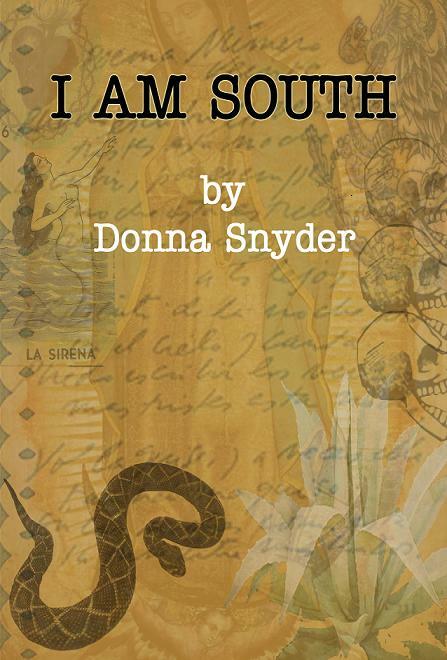 We’re pleased to present Donna’s collection of poetry “I am South.” Donna Snyder elegantly begins what will be an examination, or traipse through her voice and vision with “A Pastel Study in Shadow.” The poem opens as a painting created with colors of beautiful wordplay, “Dress the color of morning glory minutes before dusk” that “seems to be about loss / caught up in shades of mourning / all grays and blacks and purples” and closes with certain resignation and resolution for “when the light fades / the shade will eat / the lilac dust.” “Cloud Travel by boat” is another that continues with this imagery use and reads with tones of mystery and suppressed alarm, “I woke up just a nasty specter in someone else’s anxiety nightmare / Animated computer graphics and acid dream gave me a headache.” The poem even transcends this: “The dead wander in and out of the mirror’s frame of reference / I founder lost among random reveries of unspecified dead / There is an electric heart sharp red against the bruised autumn sky / an electric cloud hulas around the scarlet shape like a nimbus / The weather warns me that shadows approach always and soon.” There are many other poems that present the majestic elegance of this raw, impassioned verse. The “dreaming” series is also worth note and include the poems Dreaming in Cards, a jarring poem of contrasts, “Dreaming of Torture,” an alarming tale of love and lust internalizes these contrasts while “Dreaming in Mother of Pearl” answers in resolution and confidence of spirit and self. There is a familiar hint of storytelling in some of Donna’s work, with a southern charm all it’s own that displays her love for its culture, “South is where I learned to swallow Neruda like rum / South is where time stretches out like a bus trip in exotic lands / and South is where I can both swear and sweat in Spanish / There is antiquity here everywhere and I have become part of it.” I am South does what most good poetry books do: create insight and satisfy the senses. 39 Pages. $10. I was thrilled to find I Am South on Goodreads.